0.0.1.0.1 Learn how to code and design high quality and professional Android apps. 0.0.6 Get Started Today for Just $19! Learn how to code and design high quality and professional Android apps. Learning how to code and design Android apps can be a lot of fun, as well as a great way to promote your business or get a job in the exciting world of mobile app development. But if you don’t have the time to take a class at a traditional college or university, online learning is the best way to acquire these in-demand skills. Udemy is an online learning site that has become extremely popular because it offers over 35,000 courses on a wide array of topics, including mobile app design. The courses on Udemy are taught by more than 19,000 professional instructors, which means you can rest assured that you’re getting a quality education at a great price and on your own time. 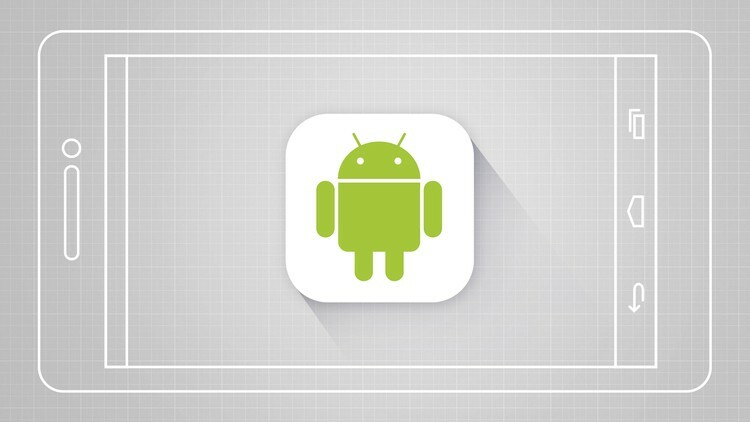 One of the best courses currently available on Udemy is The Complete Android Developer Course – Build 14 Apps. You can take this comprehensive course to learn how to create Android apps from start to finish. Plus, you’ll actually learn by doing as you create apps while you move through every section of the course. Whether you’re a total beginner or you have some experience developing Android apps, this course will give you everything you need to build apps that demand to be downloaded and purchased. This course is loaded with everything you need to know to become an expert Android app developer, and you can do it all within just six weeks. By the time you complete this course, you’ll be able to create real world apps like Instagram, Snapchat, and Uber. Of course, if you do need more time, you can take the course more slowly, or if you want to move through it even faster, you can take less time to complete it. It’s entirely up to you because you’ll have access to the course at anytime and from anywhere. Plus, lifetime access to the materials means you can always revisit them whenever you want. This course contains more than 228 lectures and about 32 hours of content, so there’s plenty to cover. With helpful guidance and clear directions from your instructor, you’ll learn how to use Java and Android Studio to develop marketable apps in no time. Also, because the course is project-based, you’ll actually be putting what you’re learning into practice right away. This will help you retain and integrate what you’re learning more quickly and easily. For example, you’ll build a Favorite Places app, as well as a Brain Training app. Then you’ll work your way up to building Instagram and Uber clones using Parse. This course takes you above and beyond merely learning how to code and design winning Android apps. In addition to learning the best tools and techniques for developing modern apps, you’ll also learn how to submit your creations to Google Play, where they’re sure to generate a buzz amongst users. You’ll even cover how to make money through Google Ads, and you’ll tackle Android Wear, which is the operating system for Android based smartwatches. As one of Udemy’s top performing courses in the mobile app development category, over 15,000 students have already enrolled, and nearly 400 of them have left feedback. Students really enjoy completing the projects along the way, and they also like the fact that this course will teach you how to make a variety of different types of apps. Other students were very impressed by how knowledgeable the instructor is, and how easy it is to understand the content throughout the course. The lessons are concise and to the point, and they’re easy to follow, even if you’re a total beginner. Get Started Today for Just $19! This engaging, comprehensive course on one of the hottest areas in development today is normally priced at $199. However, you can grab it today for just $19. The offer is valid until March 7, 2016! This is an extremely low price for so much value, and you’d have a very difficult time finding a comparable course anywhere else online for the same rate. If you’re ready to start developing Android apps like a pro, regardless of your previous experience in app development, The Complete Android Developer Course – Build 14 Apps is sure to be the perfect fit. This course has received a 5-star rating from its students, who describe it as "perfect," "comprehensive and well developed," "helpful," and "motivating." Students really enjoy completing the projects along the way, and they also like the fact that this course will teach you how to make a variety of different types of apps.